For food photography garnishing is very important, it grabs the viewer’s attention and draws them towards the image. While in the cold times of the year, the preservation of the herbs is not a big deal. But, during the hot season it becomes a challenge. The best way to get fresh herbs is to collect them from the growing plant, but what if it’s impossible? 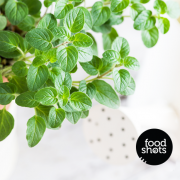 One of the wonderful ways to keep herbs fresh is to store them in the wet cheesecloth towel. By the way, this method always works well if you love to add fresh herbs to your food. Enjoy! The photo shoot is tomorrow. And, a creative team awaits you in the studio. But, does the level of photography only depends on the skills of the photographers? If you are one such believer, then what about the client’s role? Because good looking food and the best-cooked food is not always the same. Let’s say cooked meat or vegetables are to be shot, then it is advised to not to cook them to the stage of tenderization. However, if the kitchen itself is in the studio or quite near to it, you may choose to cook the subject properly. In case, the food has been brought from far it may start looking dull. Rather than cooking it all over again, few minutes finishing and the final touches would do! Or else be prepared for ‘not so lively images’. While for many recipes fully cooked loses the desirable texture and color required in the pictures. Note: Just like keeping the food less cooked for the favorable surface appearance and shades is crucial; that doesn’t imply you would keep it too raw. Because that would make the food, look unpalatable. Secondly, when the shoot is to capture the mixed food items; then do make it a point to bring all the components separately. To elaborate more, let’s assume that chicken biryani is the hero. Keep the biryani separate from the chicken piece. Otherwise, the rice would absorb its favored color and texture. That separate recognizable big piece of chicken placed over biryani would make the viewer enjoy its abundance and the dish would appear clean and clear. When recipes with gravy have to be highlighted, we call it the ‘wisdom’ to keep the ingredients in a fresh state. The key contents through appropriate addition can get a brilliant visual presence. Also, it would make sense to add gravy during the styling procedure only. Because gravy tends to get dried and create an unpleasant crust. That’s often the reason why food is rarely shot in a hot stage! It will ensure the newness of these components. As a result, the viewer gets drawn towards such an esthetically appealing dish. 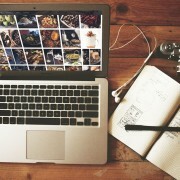 Every day, every hour – countless food photographs are uploaded online. BEWARE! The next photograph can be from the gallery of your shots. The online space is boundless, you know. A gateway to opportunities both for an amateur and the professional – Blogs may even take the pictures taken by amateur photographers while e-books and websites seek more professional ones. Celebrity chefs, food product companies, publishing companies, food critiques – be happy because you can’t put a full stop to the list of suitors who need your artwork? And be active and attentive too. The online media is being updated after every second, the projects also demand timely completion and tight schedules. Please, notice the people busy in clicking pics, the next time you hit a party. You, your friends and relatives are keen to take selfies and amateur photographs. While your hobby can be useful to big corporates big time. Because they want to please more and more buyers via visual entertainment; the companies need millions of pictures yearly. And, obviously they don’t have time to hire a professional photographer for each image. So, stock photography comes to their rescue. Work for Digital also if not especially working for digital! You yourself is a keen enjoyer of the photographs that embellish the blogs, websites and e-books. In fact, many times the pictures push you to read what’s written. So, Digital presence is a MUST in the world of today for any organization. And, that makes it a suitable opportunity for the photographers to utilise their talent and reach the new career heights. We eat food, we see food and we breathe food in a restaurant. So, now let’s talk about ‘we see food’. Well nobody is a jerk. 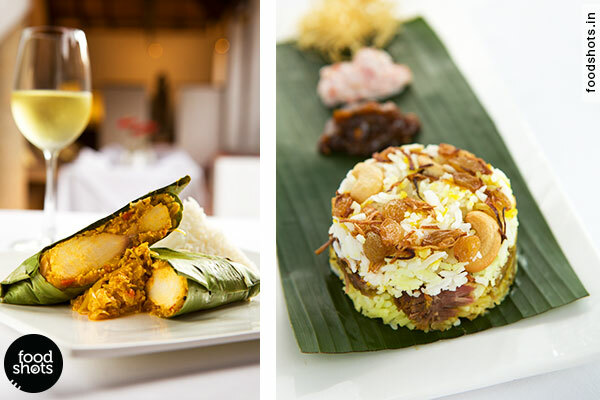 Firstly, a restaurant should look ‘foodie’ enough to make our mouth-watering activity even more restless. 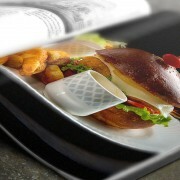 For the feature article, advertisement or menu, you can’t choose to go without food photography. Or let the branding be poor. It’s up to you. Five-star restaurants meanwhile use a different strategy but we’ll talk about it later. Why food photography – If you have a ‘dream sweet dream’ for the future of your food joint, then a plan should certainly be there for its branding. Act smart and, let the customer appreciate your food by merely looking at its genuine images. We assume that you sell authentic food because then only the photographs can be drooling. 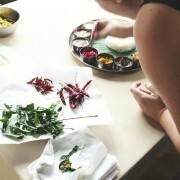 The set up is usually prepared by the restaurant chef, with the help of a food stylist. Your case is different than that of five-star – It’s automatic for you to think that the last time you visited any five-star hotel, there was no food photography as such. Answer one question. Is your restaurant a five-star one. If not then its advertising would also not be the same. The competition that can make or break – Remaining in your shell like a crab will only pay you peanuts. Be alert and active because small and medium restaurants face neck-to-neck competition. An attractive image would raise the expectations about the food. So, pleases, don’t let the customer presume that the food won’t be luscious. Make an intelligent move via food photography to create the desirable relation between your brand and the customers. What kind of food photography you are looking for, be specific – For instance, images depicting family gathering would surely draw families towards them. While, photographs illustrating students gathering would inevitably influence the youngsters. Separators in the menu with the liveliest pictures prompt consumers to order even more. Research around and figure out the right audience for your food business. No short cut, no stock pictures – Don’t feel exalted to buy stock pictures. You better know that they can hardly help you! ( BTW, They can really hep you in social media, the requirement of cheap pictures is huge.) But, when the picture is irrelevant to your food outlet; the customer tends to ignore it. They get positively affected if the place has relatable images eliciting their mood. So well, want to win the derby? In this era of cut-throat competition, your restaurant needs a compelling branding, photography of which is an indispensable segment. However, finding able photographers is not an easy job too. When it comes to images imprinted on packaging, what would you choose? Definitely, a finely packaged product with sophisticated images on it welcomes you more. When you open any box, its quality of packaging, pictures, design, and paper texture subconsciously affect you. It generates a ‘likeliness’ or ‘repulsion’ towards the product. So, the food photographs as well, as the manner of wrapping need to communicate a strong message. Food photography for packaging is indeed challenging. The food shots have to be in accordance with the quality of the paper, design, images, space and targeted influence. You also must have observed that there is more stress on the portion size rather than the serving suggestions. Also, a description is given to the photographer about the design of packaging and then they start to plan the shoot. Hence, design is laid out first and photography follows. In fact, the scope for food photography is boundless. It appears on the packaging of kitchen utensils, kitchen appliances, home decor, tableware and there’s no full stop to the list. Also, if the food is not the main product, the rules of photography differ too. The priority then becomes the product while the food remains only an element to highlight its uses beautifully. Luckily, in such cases, the necessity of using edible food becomes less relevant too. For example, if you advertise ice cream cones, the ice cream can be made from pure potato or other ingredients. 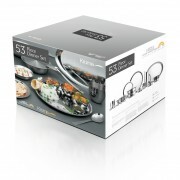 Such tricks shall enable you to devote more time in showcasing the main product without worrying that food will melt or dry. To conclude, if shooting time varies, it shall also create different moods for different products of the same range. It is not favorable. Therefore, the setup has to be altered for bringing up the same lighting effect. After all, customer has to appreciate your product’s packaging to make a further move of buying it. The average person remembers around 10.000 faces or images. Would you like to have your product photography to be one of them? Drooling pictures make you hungry like hell. Such tempting food photographs are shot with a lot of creativity and complex post production. Advertorials and editorials also have ample space for food photography, and it is no less creative than the advertising one. The bread crumbs and all these lovely natural elements we see in the picture are deliberate. Because a little mess can make the view unbelievably beautiful. In fact, in many cases, the food shot is not entirely genuine. If the food is not the major focus, but just a complementing element to the main product, then, non-edible ingredients can be used. So, the glittering syrup can be a motor oil or barbecue sauce with sugar. However, most of the recipe oriented promotions use the genuine content only. Visuals are the initial precursors that promote a customer to buy your product. However, it works only for the first time and only if your product is good, they will buy it again.